Visit our official ASA Events page to find out about the next ASA live, classroom training event! Note: The Aviation Stolen Parts Database is for reference only. Any additional investigation is the responsibility of the viewer. This database has been prepopulated with data provided by Inventory Locator Service, LLC (ILS); this data has 1/17/2011 listed in the "Date Posted to ASA" section. 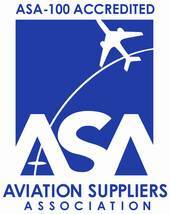 ASA has not confirmed that a police report has been filed for the ILS data. For each new entry, ASA has verified that a police report has been filed but not the validity of the report. It is not the purpose of this Database to be used as a way to settle business disputes. Any party that files a police report may subject itself to state and/or federal laws that may carry both civil and criminal consequences.